The growing popularity of the vegan diet has been accompanied by a still very debated question: which proteins are better? plant or animal ones? In this article you will learn about the main differences between plant protein and animal protein supplements. What is the difference between Plant and Animal proteins supplements? 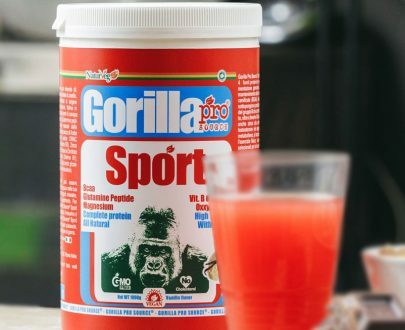 You might have noticed that finding protein products or simply proteins is not an impossible mission nowadays: they are sold on the internet, in pharmacies, in shopping centers and sometimes even in supermarkets. The assortment is becoming wider: protein paste, protein supplements, high protein cereals, protein bars, protein drinks of any taste and size. The most sold form of proteins are supplements, and more than likely you have asked yourself the following question at least once: where do supplement’s proteins come from? Which proteins are better? Plant or animal ones? What are the side effects? In fact, proteins are not all the same. Today we will take a look at their main similarities and differences and more specifically, how they can help us in our everyday life. As you know, whey proteins are the main ingredient of protein supplements. They are obviously obtained from cow’s milk, extracting an aqueous substance, called whey, followed by a processing stage. Concentrated Whey Proteins (CWP) – a concentrate of whey protein, containing a fair amount of fat, cholesterol and carbohydrates – about 20% – while the remaining 80% is made just by proteins. For many people, whey proteins are considered an excellent source of proteins for the body because of its essential amino acids, such as leucine, which stimulates the growth of muscle tissues. However, other than ethical reasons, there are a number of side effects demonstrated on consumers, that we hope you never had the “pleasure” to encounter. These symptoms occur more frequently in those who have difficulty digesting milk proteins, mainly because of casein’s presence. In fact, even cases of abdominal pain, swelling, diarrhea and nausea are not uncommon. From here you might be wondering: if there are so many side effects, why do they keep selling them? Unfortunately, these proteins are still very common in the protein supplement industry because of the very low price and their wide availability. Fortunately, nowadays you don’t have to worry, there are alternatives able to provide complete amino acid profiles without any side effect to your body, highly digestible and easy to assimilate: plant proteins. As the name implies, plant proteins are obtained from plants. Obviously, not all plant substances contain essential amino acids, but there are exceptions. All these variations are considered complete sources of proteins, exactly like products of animal origin, which is the reason why these foods are so loved by vegetarians, vegans and all those people who can’t and don’t want to take whey proteins. The main criticisms towards plant proteins are about the low content of some amino acids such as methionine and leucine. But this isn’t something that should diminish the benefits or can’t be solved with the right combination of ingredients. Moreover, the supplements deriving from plant sources are distinguished by their natural and unique taste, devoid of chemical additives and sweeteners. 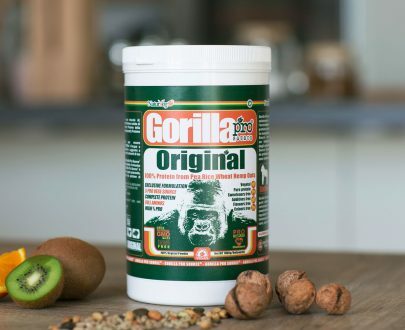 That’s why we at Naturveg have created a line of plant supplements like the Gorilla Pro Source Sport or the Gorilla Pro Source Platinum. 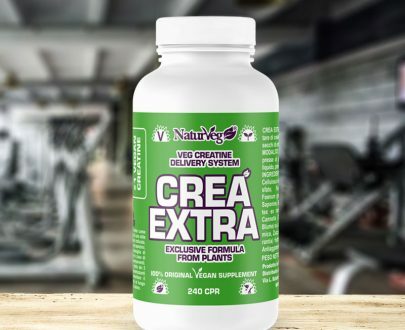 Through a scientifically proven combination of 100% vegan ingredients with a complete amino acid profile, they are able to provide a high dose of energy to face every day challenges and support athletes training. Why are plant proteins good for you? Reduced risk of developing tumors. Producing one gram of meat requires 26 times more oil, land and water than producing one gram of soy. This means that greater consumption of plants and reduced consumption of animal products would help to reduce the emission of greenhouse gases and to protect entire areas of the earth’s surface, which are constantly destroyed. Which proteins should I choose? Some people support the thought that animal proteins are irreplaceable while others instead, either for ethical reasons, health or simple curiosity, decide to try and switch to plant proteins. In both cases, the goals are always the same: to nourish the body and to help it perform its functions in the best way possible. Milk proteins have become the classic choice for professional athletes and for those who have a particularly active lifestyle. On top of it, you can find them almost everywhere. But things are changing. Over the last years, thanks to the contribution of numerous scientific studies, the skeptical attitude towards plant proteins seems now a prejudice, more than a conscious opinion. In fact, more and more people see in plant proteins a valid alternative, for health, ethic reasons and respect for the environment. Moreover, the high fiber and low fat levels, cholesterol and carbohydrates, make plant proteins the ideal choice for those who want to be fit and keep the right balance of a daily protein intake. Did you know, that the pea protein contains in 1 gram about 8.7% of arginine, an amino acid capable of stimulating the growth of muscle tissue, while whey proteins have just 2.8% per gram? 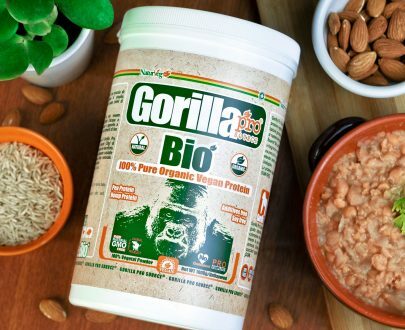 Also in terms of BCAA, leucine and glutamine, this protein has nothing to envy to those of animal origins, especially when combined with other plant proteins rich of nutritional qualities, like pea and hemp proteins. In any case, if you decide to completely give up proteins of animal origin, know that you will need to take a well balanced plant protein mix to avoid risks of deficiencies. As claimed by Kathy McManus, director of the Harvard Department of Nutrition, taking a variety of proteins from different plant sources is the best way to avoid protein deficiency. In regards to the amount of proteins to be taken daily, know that this depends on your age, your gender and your level of physical activity. On average one person needs 50 to 65 grams of protein per day. If this seem complicated, all you need is to take the right plant protein supplements along with a balanced diet, to be able to meet our daily body needs. All of this is even better if you can do it without causing any harm to living beings. Beautiful, isn’t it? Next Next post: What are the benefits of the vegan diet?